Easter in Romania is a big deal. Seriously big. 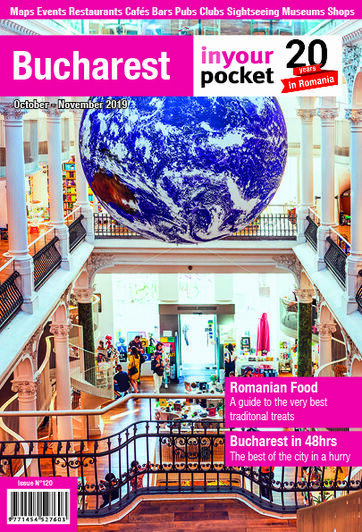 Make sure you are well prepared to run the gamut of traditions old and new, endless plates of food and religious significance with our essential look at Easter in Romania. Orthodox Easter Sunday this year falls on April 28th: a week after the western Christian world. Why? Because when calculating the date of Easter, the starting date used by Orthodox priests is taken from the Julian, and not the Gregorian calendar. 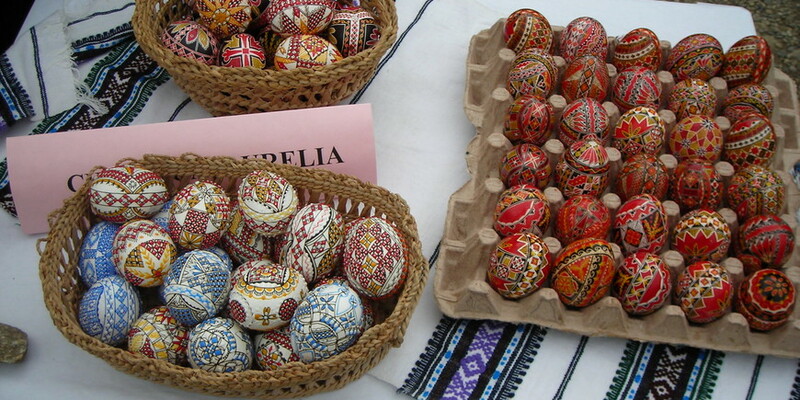 In Romania only Easter is affected: in Russia, Serbia, Belarus and Ukraine (and other major Orthodox countries) Christmas is also calculated using the Julian calendar. In Romania - for reasons we have never quite understood - Christmas is calculated with one calendar, Easter another. According to tradition, there shall be no partying, no weddings and not a great deal of anything in fact during lent, unflinchingly observed by many in Romania (where it is known as post). Note that Good Friday (Vinerea Mare) is not a public holiday in Romania. Only when priests emerge from their churches with a lit candle (at around ten past midnight) to declare that ‘Hristos a înviat’ (Christ has risen) can the faithful who have abstained from meat, dairy products or booze for the past 40-odd days once again indulge themselves. And they do so with the biggest meal of the year. That meal will invariably be centred on lamb (miel). Indeed, Easter is the one time of the year Romanians eat lamb, and it can easily be found in shops. Every part of the lamb is used: the head goes in the soup, the organs are used to make drob (a kind of paté), and the legs are slowly roasted in red wine and served with roast potatoes and spinach. You should also be prepared to eat more than a few hard boiled eggs. Before the main meal (which, we have yet to mention, gets eaten after the return from midnight mass) eggs are cracked. Dyed in bright colours (and in some parts of the country intricately painted) on Good Friday, hard boiled eggs are cracked between family members with the words ‘Hristos a înviat’. The correct response is ‘Adevărat a înviat’ (He has truly risen). The eggs should then be eaten. As each family member should crack at least one egg with every other member of the family, it can all go a bit Cool Hand Luke very quickly. Pudding is usually pască: a flat cheesecake with raisins. Cozonac (a bit like panettone) is also eaten. Note that the Hristos a înviat/Adevărat a înviat exchange becomes the standard greeting between Romanians for the first few days after Easter. In fact, Romanians who have not seen each other since Easter may use it some weeks after. The best place to witness an Easter service in Bucharest is at one of the historic churches we feature on our Sightseeing pages. Note that while services nominally get underway shortly before midnight, if you want a decent view, or even just want to get inside, you will need to be at the church by around 23:00. Even Romanians who consider themselves secular, non-observant and quite often cynical about the church usually make the effort to go to Easter mass. If you are in town, you should too: it's a genuinely collective, cultural experience you shall not forget. Bring a candle: the priest will light it when he emerges from the sanctuary at midnight.